Hi everyone! Hope you had a fab weekend! So here is my Vivo part 2 haul. 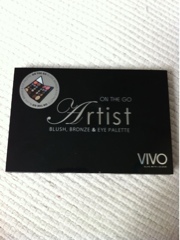 Artist On The Go Blush, Bronze & Eye Palette, for ladies on the go! It comes in a compact, with a clear mirror, which I love! The palette has two blushers, a bronzer, powder and nine eyeshadows and was only £6.99. I was really excited to try these out as they look fantastic and for the price I hoped it was a bargain product that I could repurchase as well as a dupe for the MAC and Urban Decay palettes. This palette consists of both matte and shimmery eyeshadows. 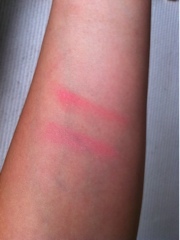 The pigments are good and have proven to last! 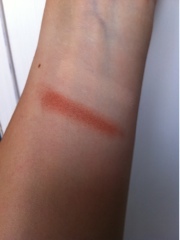 The palette has two blushers, one bright pink and one coral tone which both go on with ease and last most of the day. The bronzer is quite dark, so I have only used a little, but I am also going to test this bronzer out with contouring, something I am yet to try out as have never contoured but looks great on the youtube videos that I have seen. The palette has a powder which gives light coverage, I quite like a medium coverage so this didnt do what I would have liked but it was soft to the skin and easy to apply. 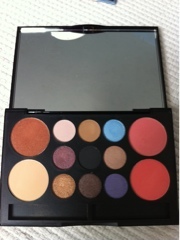 All the products within the palette are pigmented well and are very soft. I really like this palette and its proving to be a staple for me so far this month! 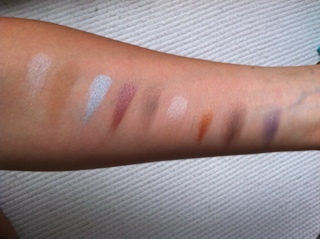 See images below for the swatches. My arm with all the eyeshadows goes left to right as in the palette, first row followed by second then by third if that makes sense?! I would recommend this product and what a bargain!! Do you own any Vivo products? If so what do you recommend?